Grand Prix Jr. Racing Derby was started in 2017 by Nick LaMonica a retired self-employed carpenter for 40 years. Loving carpentry and tinkering, after retirement he continued doing small jobs for old customers. But, bored with retirement, he looked for a new adventure. In 2015 he applied and was hired as a specialist by a local popular Day Camp to set up and run a woodworking shop for the children. 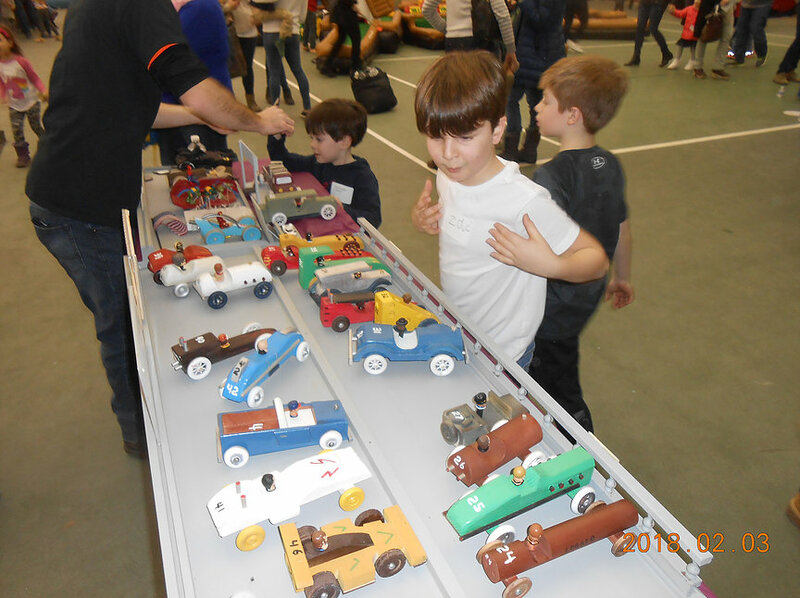 One of the first projects was to have them design and build their own wooden cars, from scratch. The children also made many other wood projects, including boats, airplanes, stilts and candy dispensers. Nick was a former Boy Scout leader who helped the Scout’s build race cars for the Boy Scout’s Pinewood Derby. Using this experience, he also built for the children at the camp a racing ramp for their cars which proved to be wildly successful. Of all the projects the children made, the race car ramp was their favorite. 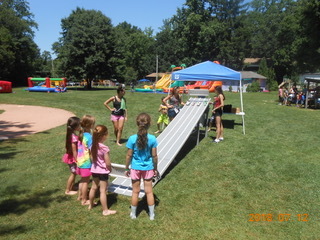 Whenever they had free time, they went directly to the ramp to play. 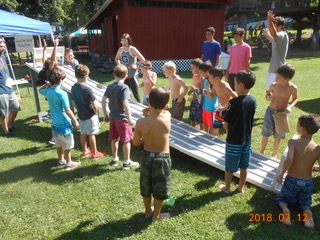 After three years, near the close of the summer camp in 2017, Nick decided to build his own ramp and cars to spread the fun to others at special events, birthday parties, etc. Each car is unique, hand built, and one of a kind. Let us bring the party to you! We deliver, set up and supply 24 unique, sturdy, custom built wooden cars of various shapes, weights and sizes for the children to use. Kids (and adults too) will love racing their cars! The children can build and keep their own cars from kits provided. After each child finishes they compete with each other on the racetrack. Car Kits are $8 each. Services also available in Putnam County. Nick just ran a party for my daughter’s 11th birthday, and it was amazing! The girls were so excited to build their own cars, and to use the power tools (even though it was just a screwdriver). After building their cars, they raced the cars against each other. They all got totally into it. Nick, and his assistant Melissa, were amazing with the girls providing them lots of freedom within a framework. I couldn’t have scripted it any better. Plus they brought everything and then took everything with them at the end. Thank you Nick!! !